Garrett and Trip (introduced in T.A.H.I.T.I.) are attacked in a safe house by Deathlok, who is resistant to weapons. They were tracking the Clairvoyant, and bring guests to the Bus: Agent Hand, Agent Sitwell (both introduced in The Hub) and Agent Blake (introduced in FZZT). 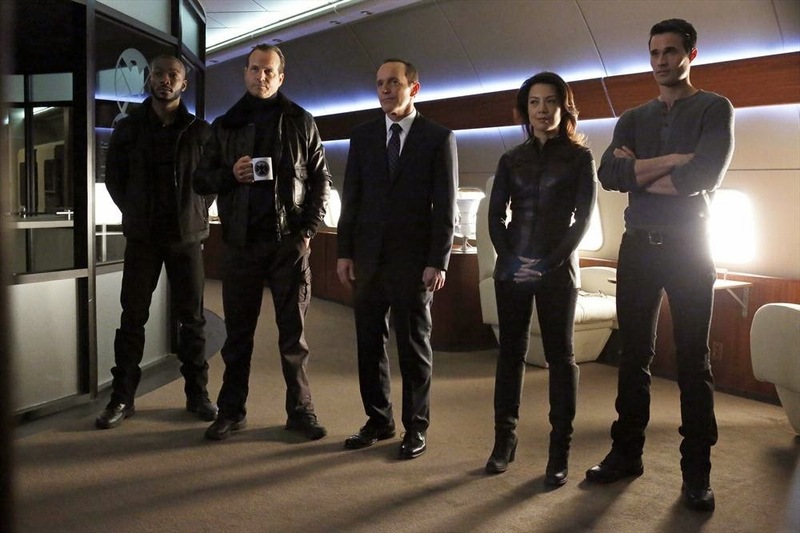 The top agents are briefed about Garrett and Coulson's op against the Clairvoyant, the theory is that altitude makes them harder to observe, even psychically? They've narrowed suspects down to people who were rejected from Shield's Gifted Index, Skye's talent will allow her to identify the 3 most likely candidates. She devises a double blind mission where agents are paired randomly and given pieces of information, meaning only she knows full details. To access the required info Skye is made a full Agent of Shield, with little ceremony but much congratulation. Sitwell is ordered by Shield to catch a boat, and Hand returns to the Hub to coordinate the backup she feels is badly missing from the op. Deathlok gets a fancy upgrade from his mystery handler. Trip and Ward are sent to the curiously understaffed "Milton Keynes Prison" apparently in the UK (what we see on screen is not the UK despite Union flag and teacup props). Coulson and Garrett are sent after a brilliant college student with possible family ties to the Yakuza, they are diverted on their way. May and Blake go to a care home to see a catatonic patient, but Deathlok attacks them and injures Blake. Everyone returns to the Hub, where Simmons stays to debrief Agent Hand about Deathlok. The team realise Blake shot Deathlok with a tracer so they can track him. Shield raids an abandoned racecourse and chases Deathlok to the basement. Coulson and Ward find the catatonic patient staring at screens and communicating through a computer. Ward and May arrive as the Clairvoyant announces himself and taunts them. He threatens Skye, so Ward goes against orders and shoots him. Fury has reappeared so the team head to the Triskelion. Skye tells Coulson she thinks the Clairvoyant had access to the Shield files and they realise he's an agent and the racecourse op was a diversion. Coulson suspects Ward and asks why he shot the catatonic man. Fitz tries to communicate with Simmons and discovers May's secret cockpit phone. He tells Skye and cuts the line. May hunts Fitz around the plane, then Coulson and Skye confront her. Coulson's convinced May's working for the Clairvoyant, she admits she's reporting to someone bit won't say who. The plane changes course by itself, May doesn't know why. After the credits it's revealed that Victoria Hand had the plane redirected and she orders that everyone on the plane is taken out except Coulson. Coulson and Garrett have been on the hunt for the Claivoyant. Since encountering Lorelei and her magic his mind's been opened to the possibility that their opponent might have some abilities, though quite how altitude will affect that I'm not sure. Puts Skye forward to run the op due to her pattern recognition skills, it also puts her in a position where she has to become an agent. Coulson is grimly determined to get answers from Fury once he gets to the Triskelion, shame he never reaches it. Coulson's insistence on secrecy and no backup gets him in trouble with Victoria Hand after Blake is injured. The catatonic "Clairvoyant" taunts Coulson about what happened to him, calling him broken. He says he'll take what he wants from Coulson and Skye, suggesting that it's about the GH 325. Shocked by the shooting Coulson is told by Garrett that maybe being on the team has smoothed down Ward's rough edges. Later Coulson suspects they were tricked, that the catatonic man was just a prop. His conversation with Skye makes him realise that their enemy is in fact an Agent with security clearance. He interrogates Ward, believing that the specialist had orders to kill the catatonic man they were meat to capture. At the end he believes May is working for the Clairvoyant, and as she escaped the encounter with Deathlok there's reason for his suspicion. In the stand off there's no time to deal with his feelings, but Coulson's anger is deep. May brings Fitz and Simmons up to see Skye become an agent, a sign of her sense of community in the group. May realises Fitz and Simmons are interested in the drug that healed Coulson and Skye and tells them that if they notice anything odd about either of them, they should tell her. It's an odd moment, full of secrets. In Skye's op May is randomly paired with Blake, and though she fires on Deathlok it has little effect on him with his upgrades. After realising Fitz has found and cut her secret hardline she tracks him around the plane and tries to shoot him with icers. This is when Coulson and Skye confront her and she has to admit that she is working for someone, but though she says it's not what they think she still won't say who is giving her orders. Given what we've seen of May's friendship with Coulson she's got some big loyalty issues here. Ward congratulates Skye on becoming an agent and doesn't acknowledge his own role in training her. Paired with Trip on the op, Trip mentions Ward's family history, sounds like -as well as being horrible and abusive- they're a political family. They alsodiscuss how much they both want vengeance against the Clairvoyant. Ward wants him dead for trying to kill Skye, whereas Trip remains more even-headed despite the Clairvoyant killing his partner. This foreshadows Ward's actions when he shoots the Clairvoyant. Garrett tells Skye that Ward has changed since being on the team, that his work usually means being alone but now he has people to fight for. Ward shoots the catatonic "Clairvoyant" after he threatens Skye, though the timing of when he shoots him feels odd to me. Coulson interrogates Ward believing he was ordered to shoot, Ward maintains it was an emotional decision and they're interrupted by the reveal about May's secret phone. Simmons continues taking Skye's blood, but this time she's honest about wanting to send it away to be analysed, backed up by Fitz. Simmons is asked to stay at the Hub as an expert on the Deathlok project, and takes some of Skye's blood to test at the more advanced lab facilities there. She agrees to keep in contact with Fitz. There's a moment when it seems like Simmons notices Trip, perhaps in the same way he'd noticed her. Again there's no flirting, but there's a spark. Fitz definitely sees this. On the phone she tells him that something is happening at the Hub and all the top-level agents are being called into the situation room. Fitz tries to back up Simmons in convincing Skye to have her blood sent for testing, pointing out how much good it could do. He's perplexed by Skye's insistence they do as Coulson says and follow the rules. He shows off the new guns he's developed to an appreciative May and Ward, he's redesigned the night-night guns and is calling them icers. He's also developed a tracer round, which can track whatever it shoots, such as a moving vehicle or a wild monkey. 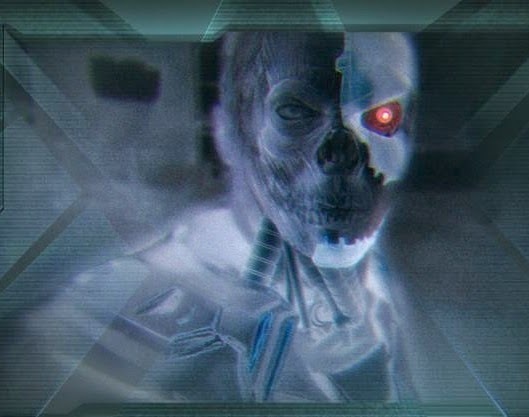 Blake later uses it to tag Deathlok, so they can trace him. Fitz notices a spark between Simmons and Trip, and you can tell he does not like it. On the op to catch Deathlok Fitz's glowing, airborne retrievers are vital for monitoring and updating the split members of the team. Fitz discobvers the unauthorised hardline and traces it to May's secret cockpit phone. He's startled and nervy when she comes in, is lying isn't as bad as Simmons' is but he's jumpier than usual. He asks Skye about it she she tells him to cut the line, despite being a more senior agent he needs her guidance. May tries to shoot him with an icer, but he's behind glass in the lab, which doesn't seem like the kind of mistake she would make. Skye, knowing the truth about alien fluid in the drug and agreeing with Coulson to keep it secret, doesn't give Simmons permission to share the blood samples. She comes up with a better version of the op, involving a double-blind and when she realises that she doesn't have clearance Agent Hand presents her with a Shield badge. 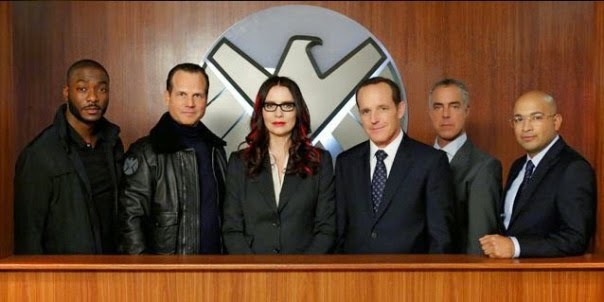 Though there isn't much official ceremony the team congratulate Skye, Coulson says she's passed every test needed to be an agent and Garrett comments that most people haven't been shot in the stomach. Later Garrett officially introduces himself to Skye, she was unconscious before, and talks about Coulson and Ward. Skye plans the op so that one agent has the location and when they get near it unlocks the name of the target on the other agent's phone, I'm not certain if that's a true double blind but it's another example of Skye using location-based encryption. Coulson asks Skye to use the reports on the Index and the potential suspects to try and get into the Clairvoyant's mind. Skye is kept protected on the op, both Coulson and Ward wary of her safety. Looking at the files Skye realises the kind of detailed, personal info Shield holds on it's agents, precisely the kind of thing the Clairvoyant has been using to target them. She convinces Coulson that the Clairvoyant isn't magic, he just has access. After telling Fitz to cut May's hardline Skye gets a gun and pulls it on May to back up Coulson. The Clairvoyant and, to a lesser but more physical extent, Deathlok. The Clairvoyant seems to be a catatonic man who had previously been assessed by Shield for possible abilities before an accident. He's found in the basement of a racecourse looking at screens and talking through a computer. Though Coulson points out that all they see is a disabled man and a talking computer, there's no indication that one was powering the other. It's really bad that a severely disabled man is used as a prop. I'm not sure that this is fully addressed in the show, but I suspect this is meant to be another sign of the lengths the Clairvoyant will go to. When Skye sees Deathlok through Fitz's retrievers she realises that he hasn't just had a new leg and eye, he's been upgraded with stuff under his skin. This isn't really a funny episode, not really many jokes set up. When Agent Hand disagrees with Coulson's op Garrett argues with her and calls her Vic. She tells him not to because it's condescending, it's not really a joke or anything, but it kind of amused me because she's right and people don't often call that kind of thing out on TV. Hand tells Sitwell he's been ordered to go on an op to the Lemurian Star, which is where we see him at the beginning of Captain America: Winter Soldier. We will also see him hailing Hydra to that politician with the big face. Garrett has been tracking the Clairvoyant and seems to be very involved in the op to find him, convenient seeing as he's the Clairvoyant. Coulson runs into Garrett in the basement before they find the "Clairvoyant", was he checking everything was set up correctly? Skye and Coulson reckon the Clairvoyant is using Shield files and that's probably true but all the stuff we've heard the Clairvoyant and his people mention has been stuff Garrett probably already knew about. It's a shame Coulson doesn't get to Fury, as he'll not get another chance before the Director fakes his death and goes even more off-grid. The reveal of the fake Clairvoyant with words on screens and through speakers reminds me of the reveal of Dr Zola in that bunker in The Winter Soldier. Simmons' brief call from the Hub is no doubt the start of the reaction to the events of Winter Soldier, which seems to happen simultaneously with this episode. May's secret phone line suggests she's an agent of the Clairvoyant, though I think it's perfectly possible she could be running things, why doesn't he suspect she is the Clairvoyant. Even after being caught May still won't tell Coulson she's working for Fury, not sure why. Whatever happens Coulson will feel betrayed but the truth is probably the best version of that betrayal, though May's a pro so she's not going to give anything away without orders. I've seen it pointed out online before, but it's cool that of the very few people Fury trusts most, 3 of them are women (the other 2 being Maria Hill and Black Widow). At the end the implication is that Victoria Hand is the Clairvoyant (the viewer not necessarily knowing about Hydra at the time of first broadcast) and she's making her move. This might not be surprising to comics fans, as (according to my husband, who knows these things) her pen and ink counterpart is the lieutenant of Norman Osbore when he's running some evil version of Shield, or something. Of course Marvel don't have screen rights to Norman Osborne.